I am so excited to share a product with you, created by Deedee, from Mrs. Will's Kindergarten! It is an editable "Time Me" center that can be used to practice fluency with the kids. I introduced these stations to my students today, and they were FREAKING OUT, they were so excited! 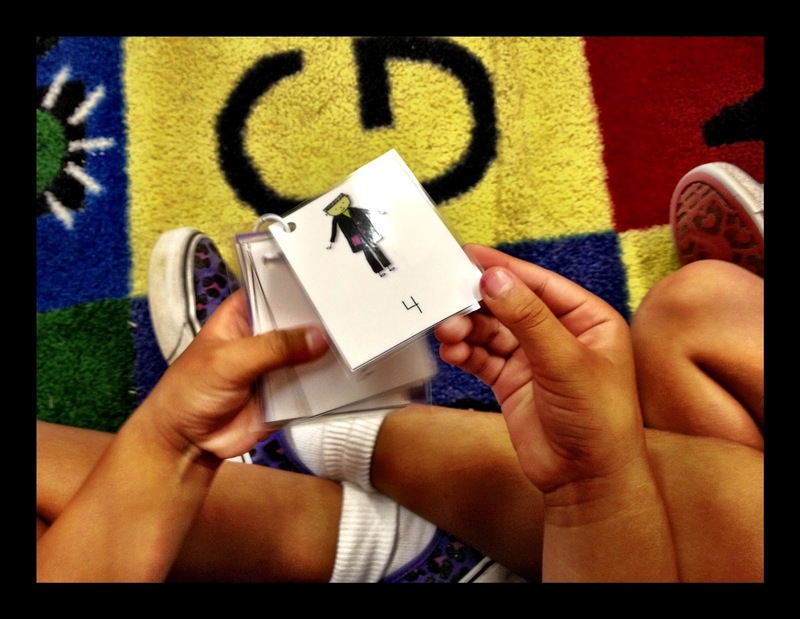 They loved the concept of reading words quickly, while being timed! They loved reading, the timer, working with a friend, and feeling confident about reading words. She made this Spooktacular Time Me pack to practice fluency with the fun Halloween theme! The idea is the kids read the words/ letters on the cards, and time how long it takes to read the stack. At the end, they use the recording sheet to write down their time. It comes with letters, colors, and sight words. The best part, is it is editable, so I was able to type in the words I wanted and print them! The kids were really good about encouraging each other and taking turns with the timer. I didn't have them record their times for the first day, I just wanted them to explore and experience the game. Their level of excitement was so exciting to watch as their teacher. I used the editable version and made a number pack, so they could practice recognizing and reading numbers 1-10. 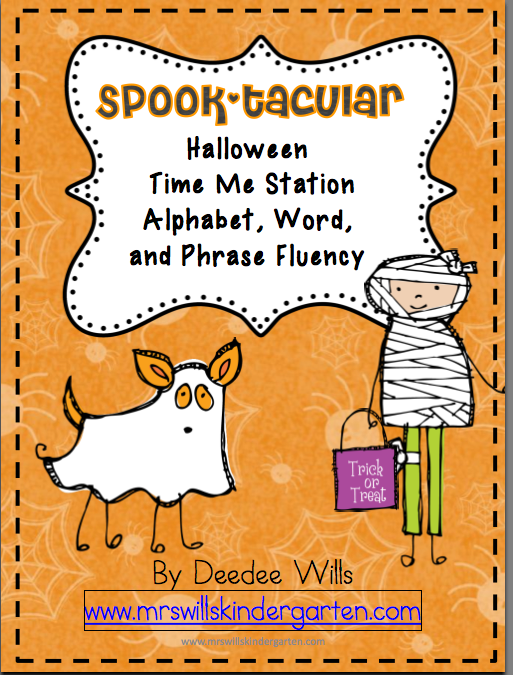 Deedee is so kind to give away her Halloween Time Me activity to one lucky winner! Please enter below....you have 2 days! What a great idea. THis would work nicely as a Daily 5 activity. I love LOVE this idea! This is fantastic. What a great giveaway! I found you thanks to Mrs. Wills and fell in love with your blog instantly! I'm your newest follower! This would be great for word work which we are starting next week! I just found you via Dee Dee Will's blog... so glad I did! What a cute blog!